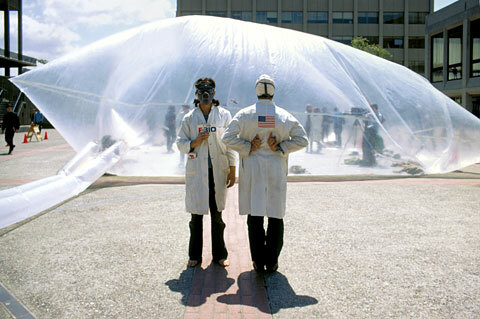 Walk-through plastic bubbles, photos of abandoned greenhouses, historical films of environmental actions on New York's Wall Street, models of mobile living cells, animations of a green and leafy high-tech island: The exhibition "Climate capsules - Means of Surviving Disaster" has opened at the Museum für Kunst und Gewerbe (MKG) in Hamburg. The material: Visionary designs from the Pop Art era in the 1960s and interventions by contemporary artists, designers and architects. The airy visions of yesterday, visionary inhabitable mega-structures and artistic protective shells still fascinate us and inspire us to view them retrospectively: psychedelic experiments to expand our perception, aesthetic fantasies characterized by euphoria in progress and environmental fears. In recent times, many pictorial designs from the 1960s and 1970s have been reconstructed and presented in extensive shows. Together with spectacular furnishings of the period, they formed a sort of ghost train of Pop culture, such as at the exhibition at the Mudam in Luxembourg entitled "Tomorrow Now: When Design Meets Science Fiction". "Cold War Modern - Design 1945-1970" at the Victoria & Albert Museum in London was interpreted as a creative continuation of the East-West confrontation against the backdrop of Sputnik and atomic bombs. 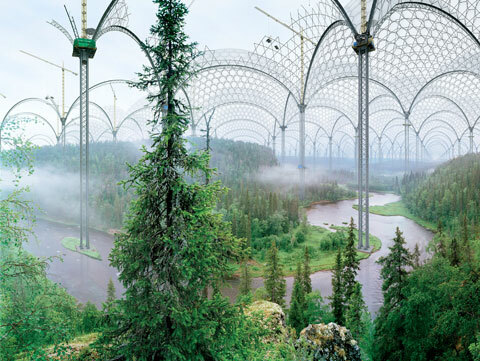 Finally, a show in Berlin entitled "Megastructure Reloaded" was devoted to the visionary, planned large forms. And note here, the scenarios, large-scale plans and experiments from those days still have a great allure today - even if it is only because we have become used to opting for small-space pragmatism in place of far-reaching planning. Never before, however, have the life designs that are at times happy and optimistic and at others skeptical and critical been shown in the context of contemporary climate debates, as curator Friedrich von Borries has done with his Hamburg project "Climate Capsules - Means of Surviving Disaster." For the starting point of his almost dialectic program, he has chosen the foreseeable failure of political climate protection efforts: What will happen if the aim of limiting the worldwide rise in temperature in old and new industrial countries to two degrees by the middle of the century can no longer be achieved by political means? In the case that prevention and avoidance fail, climate researchers predict that, with a rapidly growing global population, we will see a drastic reduction in the land available for human settlement and the provision of food, not to mention a decline in biodiversity. What would remain, according to exhibition-maker Borries, would be adaptation. This is a scenario many climate activists reject as a dead-end, as the financial, social and cultural expense of adjusting without avoiding continuing increases in temperature would appear to be unaffordable. Could the only way out perhaps be to move into protected areas? Will it be large and small capsules in which humans and animals will be able to diminish or limit the effects of climate change in the future? Friedrich von Borries asks this with regard to the negative encapsulated utopia. "Do we want to live like this in the future?" Those who refuse for themselves and their children the idea of living in inflatable protective shells, in massive capsule cities or on floating islands might be prepared to take an active stance against climate change today. Berlin-based architect Friedrich von Borries gained recognition with "Updating Germany", the German contribution to the Architecture Biennial in Venice in 2008, at which 100 projects on sustainable design were presented. Since last year he has played a double role in Hamburg: Simultaneously and in coordination, he was appointed both Professor of design theory and curatorial practice at the Hochschule für Bildende Künste and Design Curator at the Museum für Kunst und Gewerbe. His stated aim is to unleash new collaborative forces with both institutions. 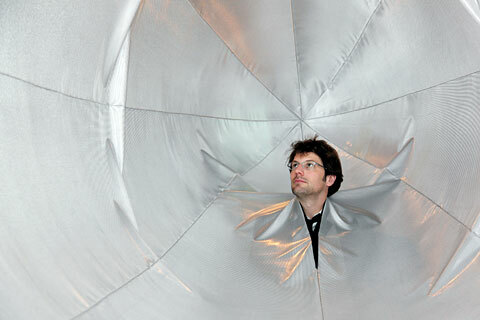 Thus alongside the opening of the exhibition at the end of May, a two-day symposium was organized at the Hochschule with the protagonists of the capsule concept. Borries' aim here was to expand the classic, rather technically-oriented capacity of design to include knowledge from artistic research. The helmet-like "Environment Transformers" by Haus-Rucker-Co were derived from an intention to perceive the world in a different and more precise way, explains Günter Zamp Kelp. 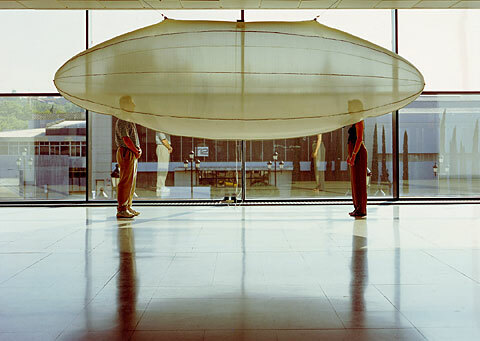 They can be found in the "Perception capsules" section of the exhibition. 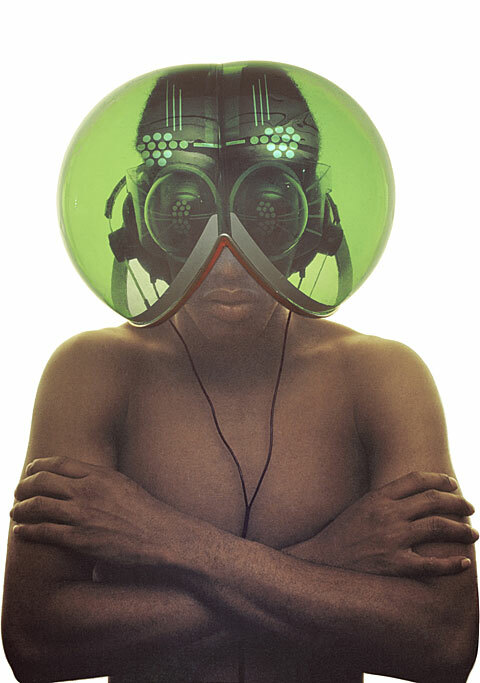 The intention of the "Fly Head", for example, which is pictured on the exhibition poster and book, is to disorient the senses of sight and hearing. "Here we used a filter to understand reality better." The architect was impressed by the work with spaces made of transparent PVC foil, such as the walk-through "Oasis no. 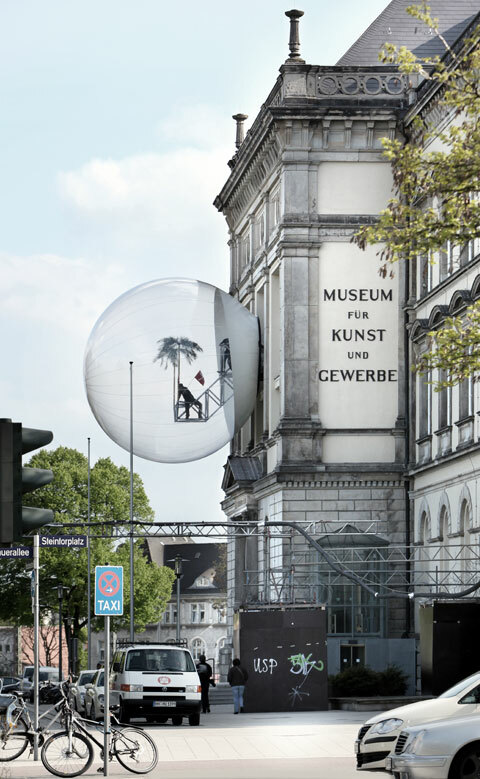 7", which is projected on the historical façade of the Museum in Hamburg, as at the documenta in 1972. 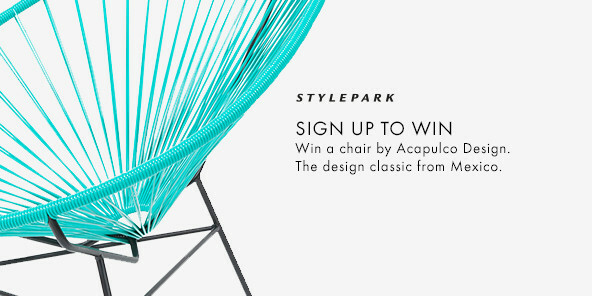 There is hardly any other material with which you can realize an object so quickly after the design phase. After several years, however, Zamp Kelp appears to have exhausted the limits of the material. 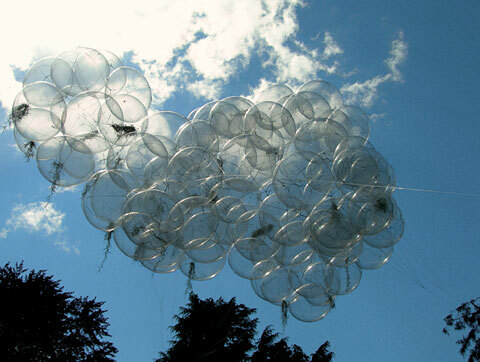 The Argentine artist Tomás Saraceno, however, who explores the structure of spider webs in order to create flying cities with plants that grow in the air, contradicts this. He sees our knowledge of future capsule cities as still very basic. 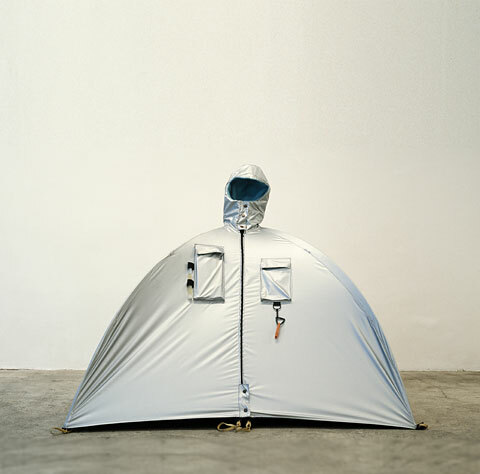 Architect Michael Rakowitz takes a much more tangible approach and has developed parasitic tent structures together with homeless people, which can be docked onto the ventilation shafts of residential and office buildings in large US cities. A chapter in itself covers interventions in the ecosystem planned by geo-engineers and associated with unpredictable side effects. 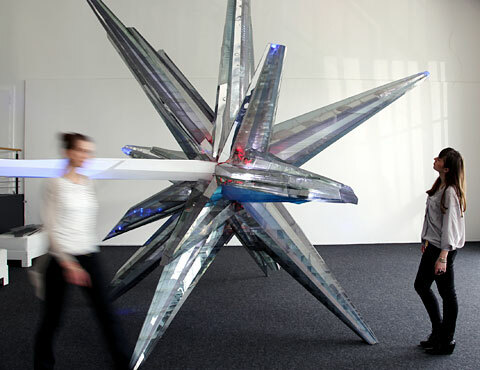 The exhibition also features artistic "cloud buster" actions by Christoph Keller. The exhibition and accompanying book tackle other creative assignments in addition to the climate theme. Recently, according to Borries, design has concentrated too much on making tangible improvements to the quality of products, maintaining brands and in so doing has distanced itself from the superior issues of meaning and purpose. He mentioned a concrete example recently in an essay for the daily newspaper "Die Welt", in which he explored the oft-quoted parallels between the design approaches of Braun and Apple. Friedrich von Borries claims that, "it is not Dieter Rams' dictum of ‘as little design as possible' that is Apple's credo, but rather the opposite: as much product as possible. In this respect, the iPad, iPod and iPhone are a sort of betrayal of Dieter Rams' aesthetic and design ideals. Their indisputable beauty and sensory appeal are not an expression of the dream of a world made better by good design. Ethical seriousness and a styling that gives the impression of solidity are intended to blind us to the everyday cultural and political scope of the new economical concepts." What interests the curator in the context of climate capsules is less the specific design solutions and not "sustainable design", but rather "cultural images for future life worlds". 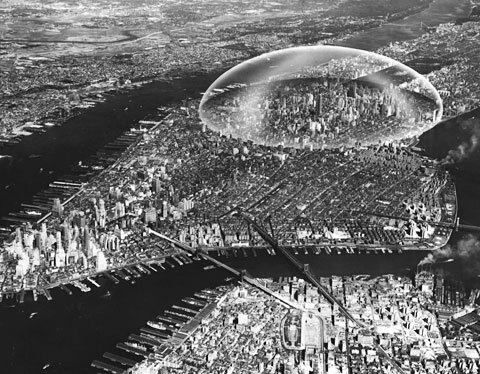 The fact that these images can be understood in part as horror scenarios and in part as uplifting future designs also holds true for the "Dome over Manhattan" conceived in 1960 by Richard Buckminster Fuller and Shoji Sadao, as well as for various contemporary projects. The "Dome" was conceived as a giant transparent climate capsule with a radius of three kilometers. Thanks to the shell, the architects calculated, the buildings beneath it could be heated and air-conditioned using just 1/85th of the energy it would normally require. 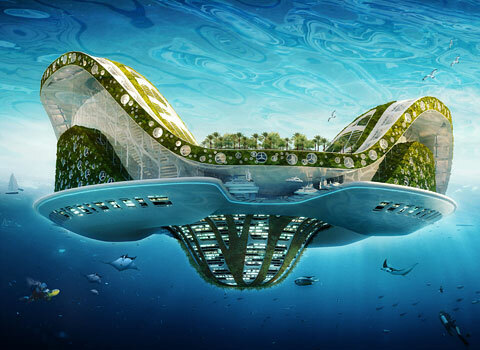 Also hauntingly beautiful was the vision of the giant island "Lillypad", floating freely with the ocean currents, designed by Belgian architect Vincent Callebaut as an autonomous green escape for climate refugees. This project, which focuses on artistic and architectural access points to the topic, offers us a chance to begin a new discourse on the aims of design - the principle question being, "How would we like to live tomorrow?" The book of the same name was published as volume 2165 of Edition Suhrkamp and costs €14 and is only available in German. Exhibition "Climate Capsules - Means of Surviving Disaster"